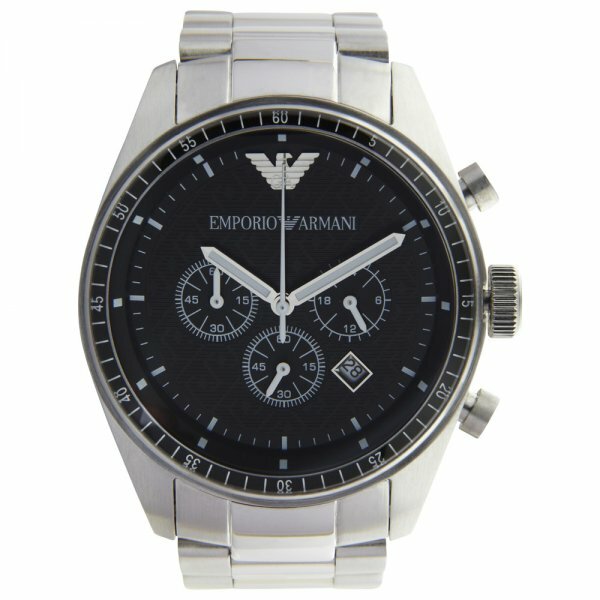 The Emporio Armani Stainless Steel Mens Chronograph Watch AR0585 is a modern classic. The AR0585 features a beautiful black dial with stainless steel bracelet and case. Not only is the watch stylish but it is also highly practical with a fully functional chronograph,date display window and water resistant up to 50 meters. The Armani AR0585 comes with a two year Tic watches warranty and a presentation case. This watch is really nice it looks better in person. This was a gift for somebody and they absolutely loved it. It's quite different to the normal armani watches but it looks really good on. Iv purchased a few watches from this website and definitely impressed.